If you are looking for L&L Industrial Supply, you are in the right place! 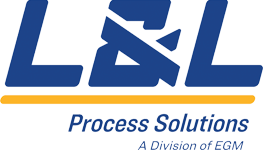 L&L Industrial Supply is now L&L Process Solutions, Inc. Thanks for visiting! It is our mission to partner with you and deliver the very best products and solutions to meet the challenges you face. As a gulf-coast authorized distributor and manufacturer’s agent for many of industries’ most trusted and recognized brands, the L&L Process Solutions team is organized to best serve your needs with an experienced technical and customer service staff. With a full line of Analytical, Instrumentation and Automation Products, combined with inventory and distribution capabilities for valves, industrial pipe, fittings, and accessories, we are uniquely qualified to serve you unlike any other. L&L Process Solutions is part of the EGM family of businesses that include EGM Chemical and Process Equipment, and EGM Automation. The combined capabilities of the three companies allows L&L Process Solutions to support clients with industrial parts, supplies, skid mounted equipment assemblies, control panel design, and fabrication services. 2019, L&L Process Solutions, Inc. All rights reserved.